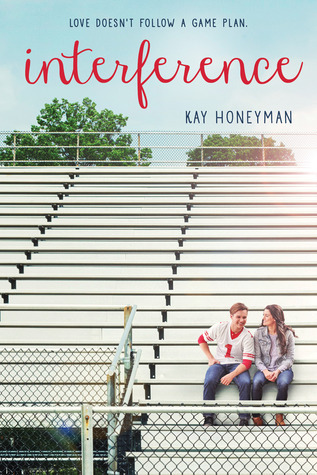 Goodreads says, "As a Congressman's daughter in Washington, DC, Kate Hamilton is good at getting what she wants -- what some people might call "interfering." But when her family moves to West Texas so her dad can run in a special election, Kate encounters some difficulties that test all her political skills. None of her matchmaking efforts go according to plan. Her father's campaign gets off to a rough start. A pro tip for moving to Texas: Don't slam the star quarterback's hand in a door. And whenever Kate messes up, the irritatingly right (and handsome) Hunter Price is there to witness it. But Kate has determination and a good heart, and with all her political savvy -- and a little clever interference -- she'll figure out what it takes to make Red Dirt home." I love the sound of this one. Nothing like the mention of some high school football to get you ready for the fall. What do you guys think? I am not a fan of football but I am looking forward to this book after enjoying First & Then. Good pick! Yes! They do sound similar and First & Then was one of my favorites! Thanks for visiting, Christina! Oh, man. A book after my heart. Politics and football. Lol. I know, right?! I love the sound of this one, too. Thanks for visiting, Joy! I'm reading Under the Lights by Abbi Glines right now which has high school football in it as well. This one sounds interesting too. Hope you enjoy it! Thanks, Sandy! I love books that incorporate football! Thanks for dropping by! I'm glad you agree, Jenny! Thanks for visiting. Great pick! This one is already on my TBR list as well. I hope you enjoy it! I do think this one looks cute. I love me some football. They changed the cover from the arc (it's a small change), but I liked the original better. Oh, well. Great pick! Oh they did? I will have to check out the original. I love books that incorporate football as well. Thanks for dropping by, Natalie!